5. Perfect, target, and personalize your donation asks. You won’t want to send an email asking a donor for $250 if they prefer direct mail and typically give around $20. 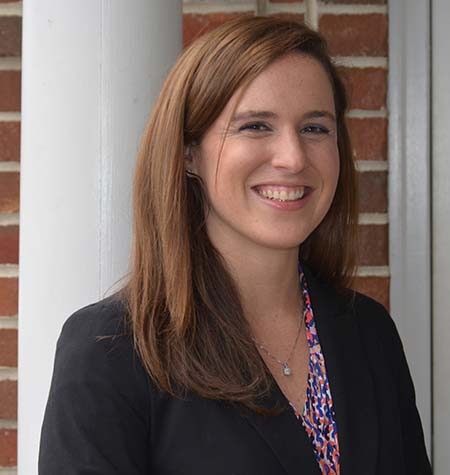 Paying attention your donors’ preferences and giving histories is crucial! $25 provides water for 1 student in need for 3 months. $50 provides school supplies for 2 students in need for a year. $100 provides winter coats for 5 students in need. Showing donors exactly where their donations will go helps them to visualize the effect of their contribution, therefore encouraging donations! When it comes to the language in your donation asks, make sure to use every donor’s name (and spell it correctly). There’s nothing worse than a Michael getting a fundraising appeal addressed to Michaela. You don’t want to miss out on donations for easily avoidable mistakes. You’ll want to use positive language to encourage donations and reference the difference you’ve made over the past year with the help of your supporters’ recent contributions. The bottom line: Use the data you’ve collected in your CRM and through your prospect research to perfect, target, and personalize your fundraising appeals. 6. Transition donors to a higher giving level. Your donation asks are the perfect place to ask donors who are interested in giving more! With the help of the information stored in your donor database and the data you receive from prospect research, you can find the average of what your donors typically give. If a donor has previously given small gifts multiple times, you can easily suggest a slightly larger gift. In addition, take a look at donors’ whose lives have undergone significant change. If your donor has switched jobs and has significantly increased their income, here’s another perfect opportunity to suggest a higher giving level. When you identify donors who have the capacity to give more than they have in the past, send them targeted content that encourages them to increase their usual gifts. Take a look at Double the Donation’s Guide on How to Ask for Donations for some extra pointers. The bottom line: You’ll need to be careful about how you approach asking donors to give more. Looking at their giving history and recent life changes is a good place to start. 7. Take a multi-channel approach. As previously mentioned, you’ll want to take your donors’ communication preferences into account, which means taking a multi-channel approach! A nonprofit organizations’ online presence is becoming increasingly important for both stewarding and fundraising strategies. By having a presence on all of your donors’ favorite online platforms (and throwing in traditional communication methods here and there, too), you can interact with donors the way they prefer. Communication through their favorite methods will prove to donors that you value their preferences, bettering your stewardship efforts. The bottom line: Taking your fundraising to multiple channels will gain your nonprofit more exposure and allow your organization to interact with its donors in numerous places. 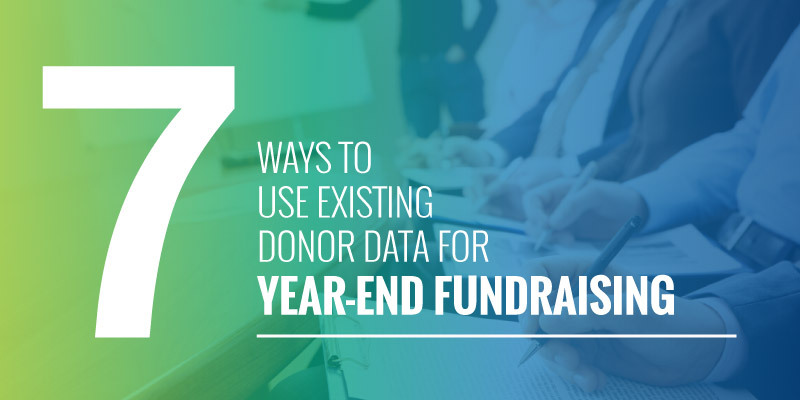 Now that you have our easy 7 ways to capitalize on existing donor data for year-end fundraising, there’s no way your fundraiser won’t be a success! Remember your donors are the backbone of your organization. Afterall, their passion helps fuel your projects. Happy fundraising!